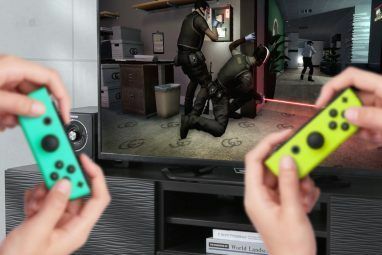 <firstimage=”//static.makeuseof.com/wp-content/uploads/2010/06/intro4.png” /> The Nintendo Wii has a complete internet browser that lets you surf the web from the comfort of your couch. With the Wii remote functioning as your mouse, it’s never been easier to browse the internet right on your TV. Getting started with the Wii’s internet browser and familiarizing yourself with its basic functions and controls requires just a few simple steps. Before long you’ll be able to search Google, watch YouTube videos, and play online games, all with your Wii remote! First of all, you will of course need to connect your Wii to the internet. 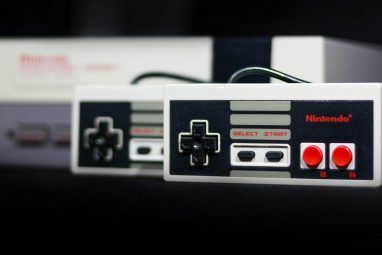 This simple guide How To Connect Your Nintendo Wii Console To The Internet How To Connect Your Nintendo Wii Console To The Internet Read More can tell you how. Once you’re connected to the internet, you have to download the Wii’s Internet Channel from the Wii Shop Channel. Select Wii Shop Channel from the Wii’s main menu, and then select Start. Once the Wii Shop Channel loads, select Start Shopping at the bottom. Then select Wii Channels on the right. On the next screen, scroll down until you see the Internet Channel. Select it, and then choose Download on the following screen. Then select Yes to begin your download. Watch Mario pound some coin blocks until your download is complete. 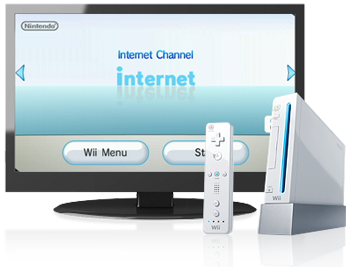 You can now access the Internet Channel from the Wii’s main menu. When you start the Internet Channel, you will find yourself on the Start Page. From here, you can choose to search the web using Google, select a bookmark from your favorites, or type in a web address. You can also access the operations guide, settings, and a guide to controls. The controls for the internet browser are optimized for the Wii remote. The A button works like left-click. Use it to click on links and forms. When you click on a form (such as a search bar), the on-screen keyboard will pop up, and you can type by selecting keys with the A button. The B button and the plus and minus buttons are your essential navigation buttons. Scrolling is accomplished by holding down the B button and pointing your Wii remote in the direction you want to scroll in. Zooming is accomplished with the plus and minus buttons. Pressing the 2 button will switch to single column mode, which can make some websites easier to read. Press the 2 button again to switch back to the website’s normal layout. When on the Internet Channel, you’ll see the browser controls at the bottom of your screen. Selecting Search will make an on-screen keyboard pop up where you can type in a Google search. You can change the search engine it uses to Yahoo! by going to Settings on the Start Page. Selecting Favorites will show you the pages you’ve bookmarked and give you easy access to them. It can be pretty useful to bookmark a lot of the pages that you regularly visit just because typing their addresses in with the on-screen keyboard can take a while. The next option, Enter Address, lets you type in a web address, and Start Page brings you back to the Start Page, which you can read about above. The Wii is a game console, so it makes sense to play games on it, right? Well, you might find that playing some old browser games with your Wii remote will make them feel brand new again. 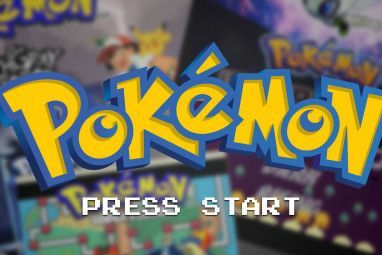 Check out WiiCade.com for some of the best online games compatible with the Wii’s internet Browser. Be sure to try out 3D games that normally use a mouse””like Curve Ball (http://www.curveball-game.com/) and Missile Game 3D (http://www.albinoblacksheep.com/games/missilegame3d)””on your Wii. Playing them with the Wii remote’s motion control can be a lot of fun. And don’t forget to visit video sites The 15 Best Sites to Watch TV on Your Computer Over the Internet The 15 Best Sites to Watch TV on Your Computer Over the Internet Thanks to streaming, there are now more ways to watch TV online. Here are the best sites to watch TV on your computer. Read More like Hulu.com on the Wii. With the Wii’s internet browser, you can watch free TV shows and movies right on your TV! Using the Wii to browse the internet certainly has its advantages, especially if you want to play browser games and watch online movies and TV shows on your TV. And you can even hook up a USB keyboard to one of the ports in the back of the Wii to make searching the internet as simple and convenient as on a regular computer. Do you have any more tips for browsing the internet on the Wii? Does anybody know if this works in Mexico? Yep, that's the problem. The wii came so close to being a great way to access web video, even advertising 'watch your favourite videos from youtube'- and it seems that every site i try other than youtube requires Java. ...and noted that TVWeb360 works (lots of ads). I tried all the others except TidalTV and they do NOT work. On the other hand, YouTube XL - mentioned in this current article - does work on the Wii now too. Thanks for the article, it gave me a reason to give Wii Internet another try. I have no idea why it's currently so difficult to watch movies on this console. Wii owners in the US can use NetFlix but there's got to be alternatives for others by now. Let's get it together, Nintendo. Last time I tried I couldn't get Hulu to work on my wii. Something about Opera not supporting the latest version of Flash. Same here. I tried today and the help menu from Opera says it will play only content based on Java 7. I think Hulu needs Java 10. Is there an XBOX 360 equivalent to this Wii browser? Nope. Microsoft has drawn some criticism for that too. Yaa, some players are extremly angry about Microsoft.